Are your clients having difficulty selling their house? Work with us to make a deal to sell the property. We buy single-family homes, multi-family properties, lots, vacant land, and commercial real estate. We buy in all price points. We add value and make the transaction work for everyone. Do you desire to improve yourself and your results? Are you committed to learning and growing? Are you the type of person who sets goals? Do you follow through with action to earn results? Do you have what it takes to achieve the success you want? Are you ready to play all out with a winning team? 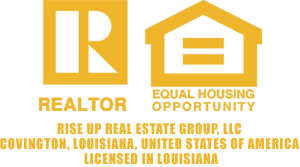 Rise Up Real Estate Group has proven that we have what it takes to compete and win in today’s marketplace. We have an established track record of success. We are looking for sharp, bold, driven individuals who want to join our team. Contact us to discuss how we can work together as a team. Together everyone achieves more. Rise Up!